Although I do enjoy discovering new bands, I often gravitate to a handful from the old days that are the staple of my music diet. I love the old school bands from the origins of the thrash and death metal movements. The early days produced some of the cornerstone, genre-defining bands and albums. Even if the production fell short of today’s standards, there was an originality that is now hard to match. Here are a few great examples of these pioneers. One of the albums that I’m currently listening to, which had a tremendous influence on me, is Atheist’s Piece of Time. To this day, it remains one of my all-time favorite death metal albums. There’s so much going on both musically and lyrically. Atheist was one of the first death metal bands to bring a jazz groove to the forefront of their music. 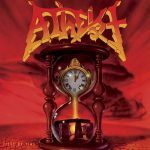 Piece of Time moves you from riff-fests like the title track and “I Deny” to the more straightforward, yet effective, “On They Slay.” When coupled with the brilliantly crafted lyrics, it’s easy to see how this is considered one of the defining albums from the catalog of death metal’s formative years. Up next is Slayer’s Reign in Blood. This album is really never out of arm’s reach. It’s an example of an album that I can listen to in its entirety without ever losing interest. 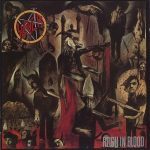 For many, Reign in Blood is the ultimate thrash album, and it’s easy to understand why. There’s not a throwaway riff on the entire recording. It’s angry, relentless thrash metal from start to finish. Slayer was one of the first bands that drew me into music heavier than Iron Maiden, which eventually served as a stepping stone into death metal and grindcore. All of the tracks are classics in their own right, but if I were to pick favorites, “Angel of Death,” “Postmortem,” and “Raining Blood” would be at the top of the list. My next example is a relatively new recording from one of death metal’s most veteran bands – Immolation’s Kingdom of Conspiracy. 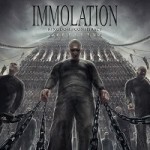 Immolation is a band I’ve been a fan of from the beginning. They always deliver and even though they have a very distinct sound, they always find ways to avoid being derivative of their earlier work. Kingdom of Conspiracy is a blur of aggressive, masterful death metal. I love that it was released in 2013, yet it still carries with it a common thread that leads all the way back to Dawn of Possession, and the production is phenomenal. Last is another example that is rarely out of reach – Metallica’s Master of Puppets. For a long time, back in the day, Ride the Lightning was the undisputed champion over these two albums. As time passed, I’ve grown to like Master of Puppets to the point that I don’t think I could easily pick a winner between the two albums. I admire both for many reasons. 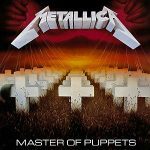 For me, Master of Puppets defined the album when Metallica had arrived. The musicianship and production are slightly more mature than Ride the Lightning, and that’s not taking anything away from such a remarkable predecessor. My favorites from Puppets include “Battery,” “Disposable Heroes,” and “Welcome Home (Sanitarium),” which is possibly my favorite Metallica song. Killing Addiction’s Shores of Oblivion EP was released last October via Xtreem Music.